A capo di questa azienda c'è Harvinder, una donna generosa e dai modi squisiti che ha dedicato la sua vita a portare in Europa antiche tradizioni di bellezza della sua terra natale, l'India. Harvinder è cresciuta vedendo con i suoi occhi quello che la natura può fare per la nostra bellezza. At the head of this brand there is Harvinder, a very generous woman, with exquisite manners, who has dedicated his life to bringing to Europe ancient beauty traditions native to his home country, India. Harvinder grew up seeing with her own eyes what nature can do for our beauty. "When I was young, I remember my mother putting oil in my hair. I looked forward to our time together. Remembering the smells and textures reminded me of India. Walking around the village seeing girls making potions chatting away. I joined in and that’s when Saach Organics was born." 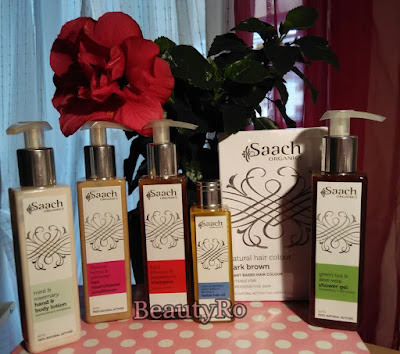 Saach Organics segue le pratiche Ayurveda e crea prodotti naturali per il corpo e per i capelli sfruttando la forza degli ingredienti vegetali che vengono coltivati e raccolti a mano in India. Saach Organics follows the Ayurveda practices and creates body and hair products whose formulas exploit the force of vegetal ingredients, which are grown and handpicked in India. Come ho conosciuto Saach Organics? Qualche tempo fa ho letto un articolo di una blogger che mi piace molto, The Beauty Reporter, in cui descriveva i prodotti Saach Organics acquistati su Love Lula (non lo conoscete!?! Si tratta di un negozio online britannico che vende cosmesi naturale e spedisce gratuitamente in Italia!). I prodotti mi hanno subito incuriosita e ho guardato la pagina Facebook di Saach Organics (eccola qui, mettete mi piace per conoscere tutte le novità!). Ho contattato l'azienda per ricevere informazioni e Harvinder mi ha generosamente offerto di inviarmi dei prodotti affinché li provassi. Il mio pacco è andato perso purtroppo, ma Harvinder me ne ha mandato un altro (si può essere più gentili?) e finalmente i miei stupendi prodotti Saach mi hanno raggiunta! How did I get to know Saach Organics? 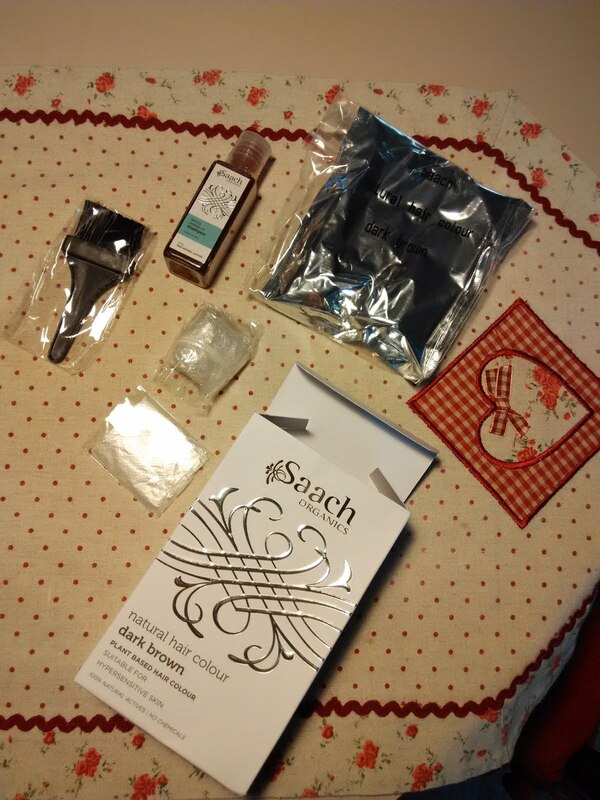 Some time ago I read an article by a blogger whom I really like, The Beauty Reporter, in which she described some products by Saach Organics she had bought on Love Lula (don't you know it? It's a British online shop which sells natural cosmetics brands and that ships worldwide - free to most of the countries!). I was immediately intrigued by the products and I took a look on the Facebook page of Saach Organics (here you find it, like the page so that you can keep yourself posted on the news!). I contacted Saach to get more information and Harvinder was so generous that she offered me the possibility to test some products. My parcel got unfortunately lost, but Harvinder sent me another one (could he be any nicer?) and finally my wonderful Saach Organics reached me! - tinta per capelli a base di erbe - colore "castano scuro". - natural plant based hair colour in "dark brown". In questa prima recensione dei prodotti Saach vorrei inziare a parlare proprio della tinta a base di erbe. Come sapete probabilmente, da molto tempo non tingo più i capelli con tinte chimiche (e quindi dannose). Al momento ho deciso di tornare al mio colore naturale (castano chiaro) e non sto tingendo i capelli nemmeno con tinte a base di erbe tintorie. Ho, dunque, usato questa tinta per tingere i capelli di mia zia, che voleva proprio ottenere un castano scuro. Penso sia importante che sappiate che i suoi capelli erano trattati chimicamente. Vedremo il perché! 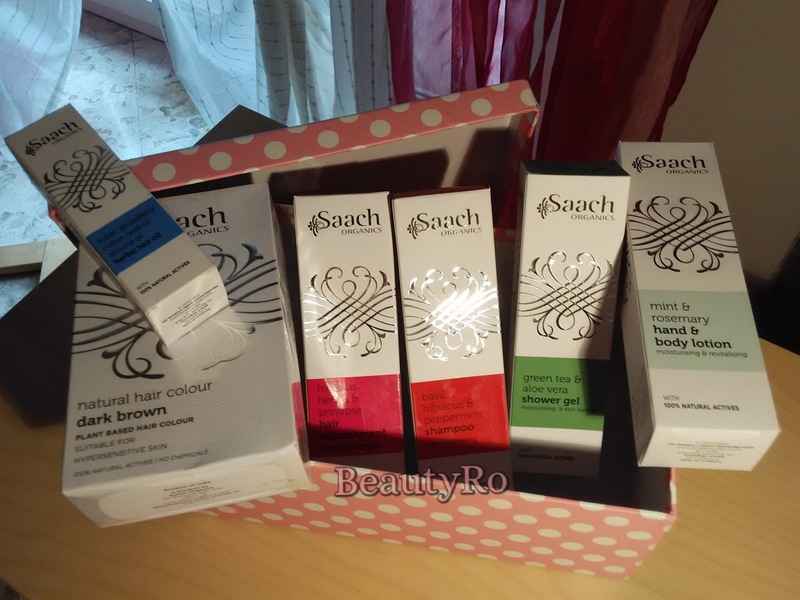 In my first review about Saach products I'd like to tell you more about the plant based natural hair colour. As you may know, for a long time now I haven't dyed my hair with chemical (and therefore noxious) hair colours. Now I decided to go back to my natural colour (light brown) and I haven't been dyeing my hair for a while, not even with plant based hair colours. That's why I used this natural hair colour on my aunt's hair, who wanted to get a colour like this. I think it is important to underline that her hair was dyed with chemical products before we tried this natural colour. We will see why this is important! Quello che mi ha colpito di questa colorazione per capelli non è il fatto che sia totalmente naturale (anche se lo apprezzo molto). Da tempo uso solo colorazioni a base di erbe tintorie, prive quindi di ingredienti chimici pericolosi e anche un po' inutili, a mio avviso. Mi ha colpito il mix di erbe (tintorie e non) che Saach utilizza per le sue colorazioni. Normalmente le polveri di erbe tintorie in commercio sono pure (contengono cioè una erba tintoria che può essere, per esempio, l'indigo) oppure un mix di erbe limitato (per esempio, indigo, lawsonia inermis oppure henné e così via). 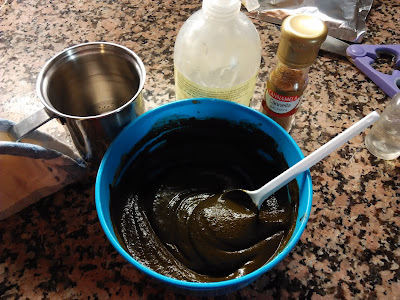 Saach, invece, crea un mix di erbe unico e complesso che mi ha costretta ad informarmi un po' di più sulle erbe ayurvediche, dato che io non sono una esperta come la mia amica Véronique Biologique il cui blog vi consiglio fortemente di frequentare, non solo per gli articoli sulle erbe. In questa colorazione troviamo infatti: indigo (sia la polvere ottenuta dalle foglie che l'estratto della pianta), henné (erba tintoria molto conosciuta e usata, tinge di rosso), amla (una pianta dalle proprietà curative per i capelli), shikakai (erba ayurvedica lavante e purificante), bhringraj (altra erba ayurvedica che viene ritenuta capace di stimolare la crescita dei capelli e migliorare il colore), manjishtha - che poi sarebbe la robbia in italiano, a quanto pare (un'erba ayurvedica che aiuta la pelle - e quindi anche il cuoio capelluto - con problemi, come eczema, acne, iperpigmentazione, possiede inoltre un potere tintorio e il colore che rilascia è rosso), alcanna tinctoria (una simpatica erbetta della famiglia della borragine dalla quale si ricava una sostanza colorante, di colore rosso). Sicuramente non si tratta del banale "castano scuro" di altre marche! Dal momento che io sto tentando di tornare al mio colore naturale (castano chiaro), ho usato questa tinta su mia zia. I was struck by Saach Organics hair colors not because they are all natural (even if I really appreciate this). I have been using all natural hair color for a long time now, without harmful and even quite useless, according to me, harmful chemicals. What struck me was the mix of herbs used by Saach to make its hair colors. Most hair colors made of dyeing herbs contain pure herbs (that is one dyeing plant, for example, say, indigo) or a limited set of herbs (for example, indigo, lawsonia inermis or henna). Saach created a unique and complex mix of herbs instead which forced me to collect more information about ayurvedic herbs, since I am no expert like my friend Véronique Biologique, whose blog I strongly recommend, not only for the posts about herbs (she writes in Italian but I guess you can easily translate her posts with Google and grasp at least the overall meaning). In this hair color the following herbs are to be found: indigo (both its powder and its extract), henna (very popular dyeing herb whose color is red), amla or Indian gooseberry (a herb with healing properties for hair), shikakai (an ayurvedic herb that cleanses and purifies), bhringraj (another ayurvedic herb, which is believed to help stimulate hair growth and to enhance color), manjishtha (also called "madder", a herb that helps skin - and therefore scalp - with problems such as eczema, acne iperpigmentation and so on, it can also dye and the color it releases is red), alcanna tinctoria (a nice herb belonging to the family of borage from which a red dyeing substance is obtained). What is sure is that this is not the usual "dark brown" by other brands! 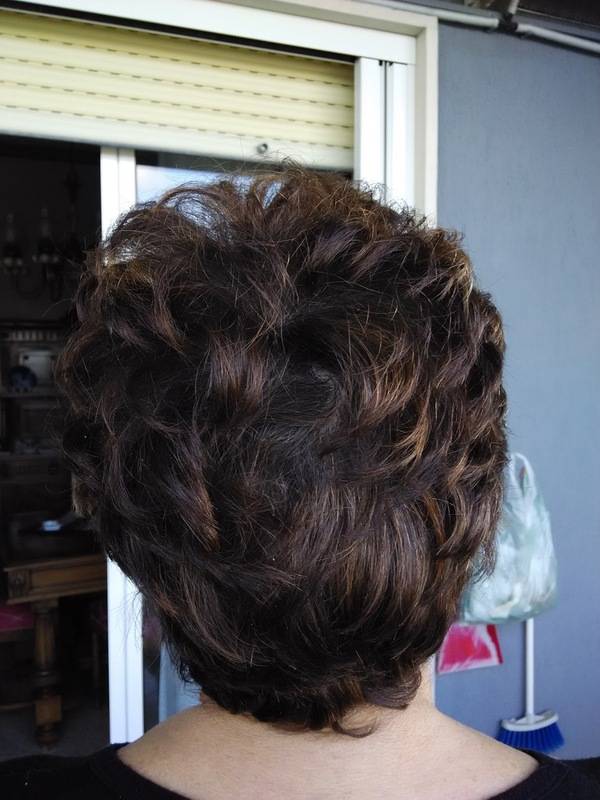 Since I am trying to go back to my natural color (light brown), I used this hair color on my aunt's hair. - minitaglia di shampoo protettivo per capelli tinti. - a minisize color protect shampoo. Per quanto riguarda l'applicazione della tinta a base di erbe tintorie, ci sono molti metodi e molte scuole di pensiero: c'è chi preferisce applicarla (a contatto con l'acqua diventa una crema abbastanza liscia) sui capelli umidi, altri sui capelli asciutti, poi alcuni dicono sia meglio tingere i capelli puliti, altri dicono che i capelli devono essere preferibilmente sporchi. Ora, dopo essermi tinta i capelli per un anno e mezzo con le erbe tintorie, posso dirvi che io preferisco applicare la tinta sui capelli leggermente detersi e umidi, ma vi invito a trovare il vostro metodo preferito! In ogni caso, se non vi va di sperimentare troppo, seguite semplicemente le istruzioni che trovate all'interno della confezione della tinta di Saach Organics. 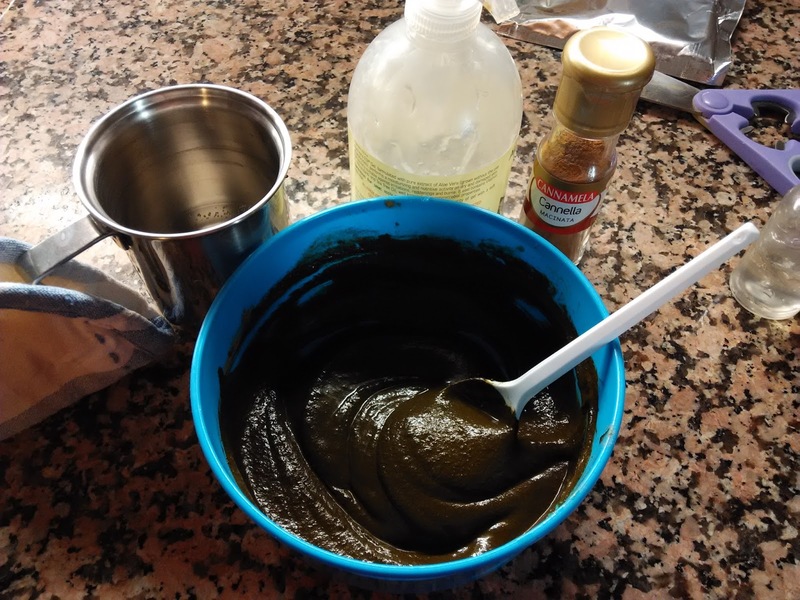 As concerns the application of the herb hair dye, there are many methods and schools of thought: some prefer to apply it (it becomes a smooth paste by adding water) on damp hair, some others on dry hair, then other say that it is better to apply it on clean hair, while others believe that the best way is to apply it on dirty hair. Now, after dyeing my hair with natural dyes for a year and a half, I can tell you that I prefer to apply it on lightly cleansed and damp hair, but I invite you to find out which is the best method for you! 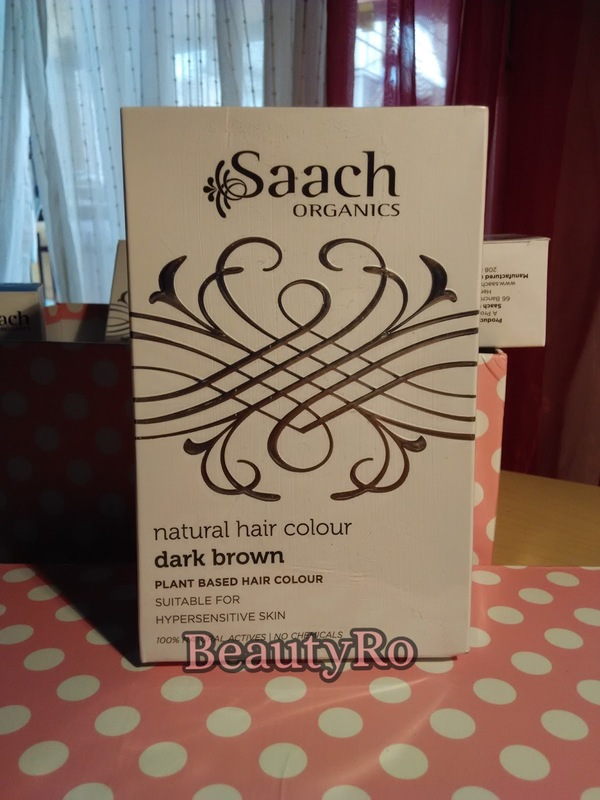 Anyway, if you don't feel like testing your own method, simply follow the instructions you find in the box of Saach Organics natural hair dye. Io ho scelto di mescolare la polvere (non tutta: mia zia ha i capelli piuttosto corti) con acqua calda (non necessariamente bollente), un po' di gel d'aloe per far sì che la crema fosse più facile da applicare, infine un cucchiaio di cannella in polvere per dare un profumo gradevole (l'odore delle erbe tintorie non è - almeno per me - l'odore migliore del mondo, ricorda un po' un pagliaio, il fieno, non so...). I chose to mix the powder (not all of it: my aunt has short hair) with warm water (you don't necessarily need hot water), some aloe vera gel in order to make the paste easier to apply, and a tablespoon of cinnamon powder to give the paste a nice smell (the smell of these dyeing herbs is not - at least not for me - the best smell in the world, it reminds me of a barn, of hay, I don't know...). Qui sotto vedete i capelli di mia zia PRIMA della tinta (aveva anche le mèches). 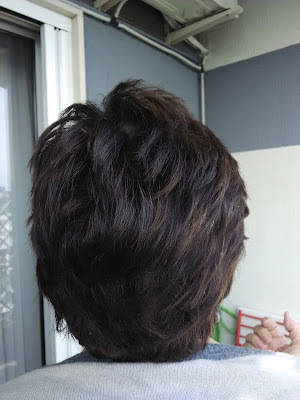 Below you can see my aunt's hair BEFORE the application (she also had streaks). Questo è il risultato dell'applicazione della tinta di Saach Organics (la foto è stata scattata dopo 24 h dall'applicazione perché le erbe tintorie necessitano di un po' di tempo per dare il risultato definitivo - per via dell'ossidazione). This is how my aunt's hair looked like after the application of the herbal hair dye by Saach Organics (the picture was taken after 24 hours since with dyeing herbs one needs some time to achieve the final effect - this is because of oxidation). Come potete vedere, la tinta ha coperto anche le mèches (non totalmente, lasciando dei piacevoli riflessi). I capelli bianchi non sono stati coperti alla perfezione ma questo è normale: i capelli trattati con tinte chimiche sono molto secchi e hanno spesso bisogno di più applicazioni affinché le erbe tintorie possano coprire anche i capelli bianchi. L'effetto generale è comunque ottimo e i capelli sono morbidi e lucidi. Mia zia ha anche apprezzato lo shampoo che abbiamo trovato nella scatola e le è sembrato che i suoi capelli fossero più morbidi del solito usando questo shampoo. As you can see, the herbal dye covered the streaks too (not totally, it left some pleasant lights). It could not perfectly cover white hair but this is normal: hair dyed with chemical dyes are really dry and need therefore some more applications with herbal dyes to cover white hair. The overall effect is excellent and my aunt's hair is soft and shiny. My aunt also appreciated the shampoo we found in the box and felt that her hair was softer than usual by using it. Prossimamente vi parlerò di molti altri prodotti di Saach Organics, tutti ottimi! Nel frattempo, se volete provare questa tinta (ci sono anche altri colori) oppure se volete dare un'occhiata i prodotti Saach prima che ve ne parli, potete dare visitare il sito di Saach Organics, qui, e anche su LoveLula (lo shop online di cui vi parlavo all'inizio dell'articolo)... qui trovate i prodotti Saach su LoveLula! Soon I'll tell you about other products by Saach Organics, and each of them is really good! In the meanwhile, if you would like to try this hair dye (there are also other colors) or if you want to take a look at the other produtcs before I tell you more about them, you can visit their website, here, or on LoveLula (the online shop I told you about at the beginning of the post)... here you can find all Saach Organics products on LoveLula! Ben tornata mia bella donna!!! I tuoi post fluiscono che è una meraviglia, hai il dono del buon scrivere e mi verrebbe da consigliarti di aprire un blog con i tuoi pensieri, sono convinta che avrebbe un bel seguito. Non conoscevo questo brand quindi grazie e inoltre questa tinta, per chi come me non ci capisce niente e per ora ha il suo colore naturale, mi sembra anche facile da fare perché l'azienda ha già pensato a mischiare le erbette per noi (grazieeeeeeee) quindi segno! Ciao Roberta leggendo siti indiani avevo già visto questa azienda e mi incuriosiva parecchio! Sono contenta di leggere le tue opinioni di questi prodotti. Un abbraccio,anche io oggi parlo di ayurvedica indiana,che coincidenza!! brand molto interessante, vado a leggere la seconda parte! Sì, visto che bei prodottini? :) Poi anche abbastanza facilmente reperibile: Love Lula è un negozio online fantastico! !